Thanks to demand for bingo and casino games such as blackjack, roulette and slots, Playtech posted a better than expected 64% rise in its first-half earnings. Mor Weizer, the Chief Executive of Playtech, said that the group has seen good performance in its casino, bingo and mobile sports betting platform Mobenga. Weizer went on to say that social gaming is growing in popularity, especially because Facebook is now allowing gamers to play for money. Playtech have reported earnings before interest, tax, depreciation and amortisation, of €91.2m on revenue which doubled to €154m for the first half of this year. According to Weizer the company have had a good start to the third quarter with daily average revenues up more than 25% from last year. According to Analysts at Panmure Gordon it was a strong first-half performance, furthermore they expect that the market consensus for the full year of €165m to rise. 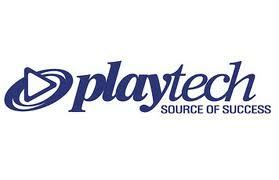 Playtech also announced that Finance Director David Mathewson is retiring and will be replaced by Ron Hoffman.